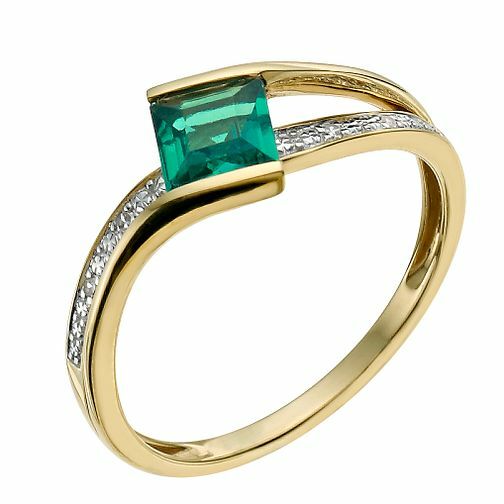 9ct yellow gold ring featuring vibrant green square cut 0.18 point created emerald in a twist design with diamond set shoulders. A stylish design that's ideal for everyday style. 9ct Yellow Gold Diamond & Created Emerald Ring is rated 4.8 out of 5 by 4. Rated 5 out of 5 by Anonymous from Shinny vibrant emerald Lovely bright green colour. It reflects the light beautifully.